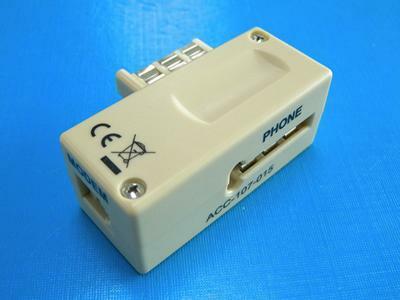 The FX-FR06A DSL filter splitter has French plug and jack with US RJ11 socket. 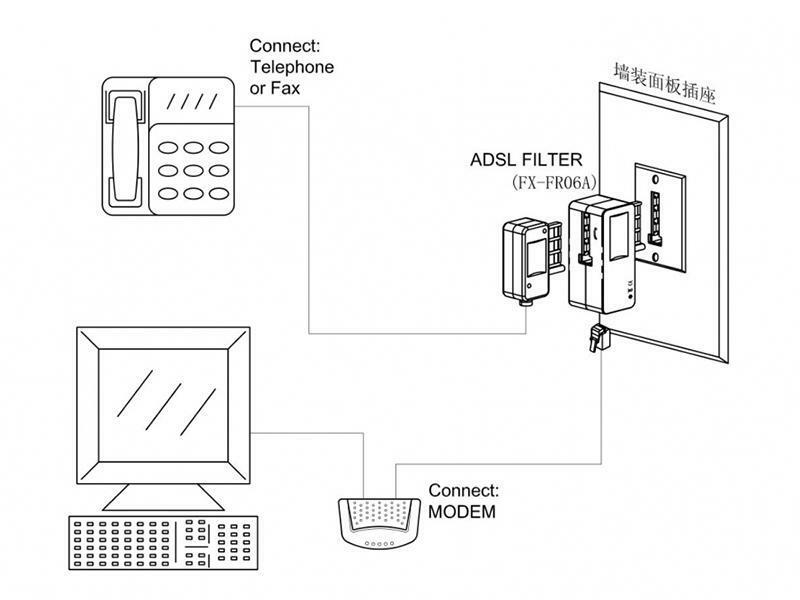 The filter is suitable in France. The FX-FR06S DSL filter splitter has French plug and jack with US RJ11 socket. The filter is suitable in France. 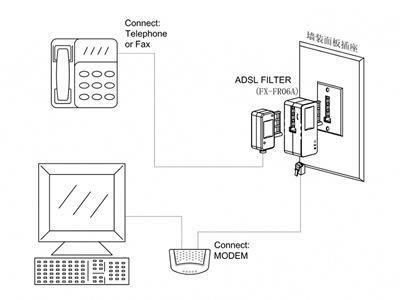 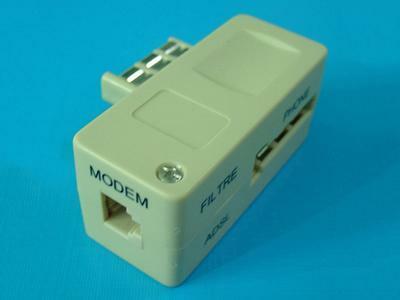 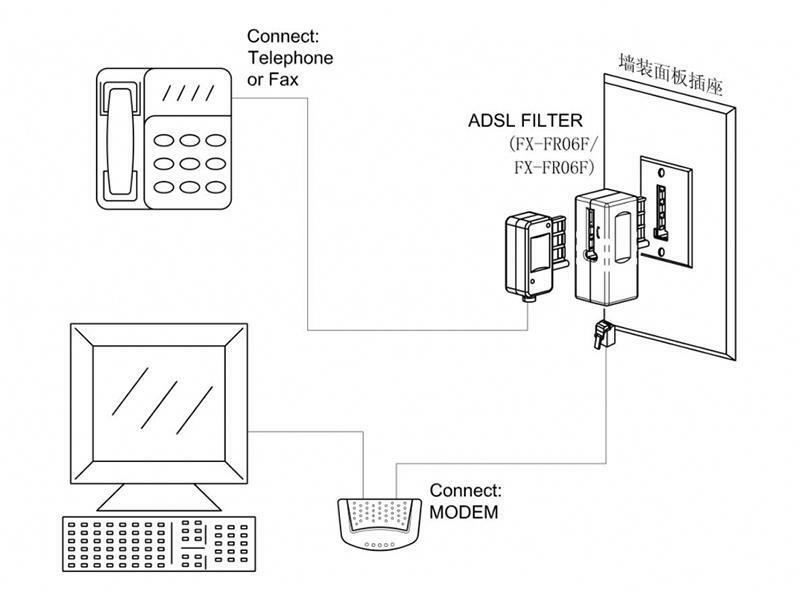 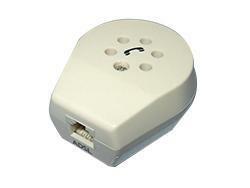 Connect the plug of DSL Filter to the telephone wall jack. 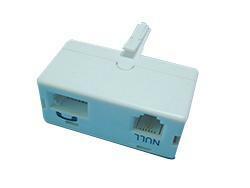 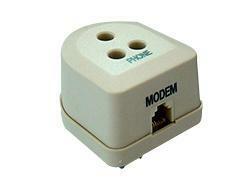 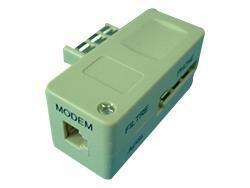 Plug the telephone line to the socket of DSL filter splitter which marked "PHONE" or phone symbol.